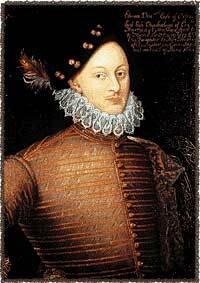 One of the most compelling reasons to believe Edward de Vere, seventeenth Earl of Oxford was “Shakespeare” is the central role in the Shakespeare story played by Henry Wriothesley, third Earl of Southampton. 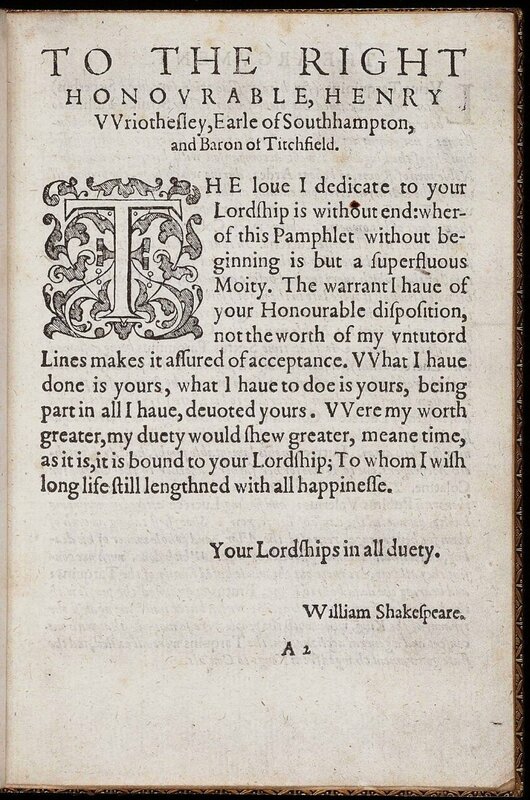 The grand entrance of “William Shakespeare” onto the published page took place in 1593, as the printed signature on the dedication to Southampton of Venus and Adonis, a 1200-line poem that the poet called “the first heir of my invention” in his dedication. The second appearance of “William Shakespeare” in print came a year later, with the publication of an 1800-line poem, Lucrece, again dedicated to Southampton. “There is no other dedication like this in Elizabethan literature,” Nichol Smith wrote in 1916, and because the great author never dedicated another work to anyone else, he uniquely linked himself to Southampton for all time. De Vere became the first royal ward of Queen Elizabeth in 1562, under the guardianship of William Cecil (later Lord Burghley), and in 1571 he entered into an arranged marriage with the chief minister’s fifteen-year-old daughter, Anne Cecil. 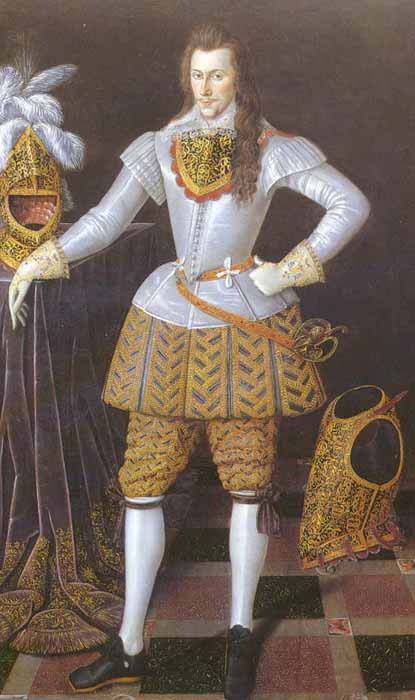 Henry Wriothesley became the eighth and last child of state as a boy in 1581-82, also in the chief minister’s custody, and during 1590-91 he resisted intense pressure to enter into an arranged marriage with Cecil’s fifteen-year-old granddaughter, Elizabeth Vere. The young lady was also Oxford’s daughter, making the elder earl, in fact, the prospective father-in-law. 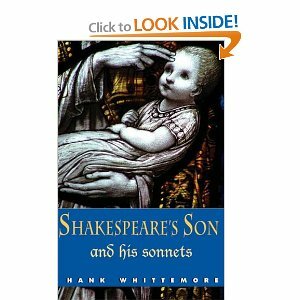 Scholars generally agree that in the seventeen “procreation” sonnets Shakespeare’s tone sounds much like that of a prospective father-in-law or father urging Southampton to accept Burghley’s choice of a wife for him, although the poet never identifies or describes any specific young woman. Obviously, de Vere and Wriothesley both had an extremely important personal stake in the outcome of this marriage proposal coming from the most powerful man in England, who must have had the full blessing of his sovereign Mistress. = As royal wards, both Oxford and Southampton had Queen Elizabeth as their official mother. Even though their respective biological mothers were alive when their fathers died, under English law they became wards of the state, and the queen became their mother in a legal sense. = Tradition has it that Shakespeare wrote Love’s Labour’s Lost in the early 1590s for Southampton to entertain college friends at his country house; but given the sophisticated wordplay of this court comedy and its intended aristocratic audience, it is difficult to see how Will of Stratford would or could have written it. 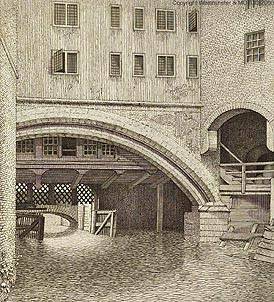 = Oxford in the early 1590s was Southampton’s prospective father-in-law. = After the failed Essex Rebellion in February 1601, Oxford sat as highest-ranking earl on the tribunal for the treason trial of Essex and Southampton. 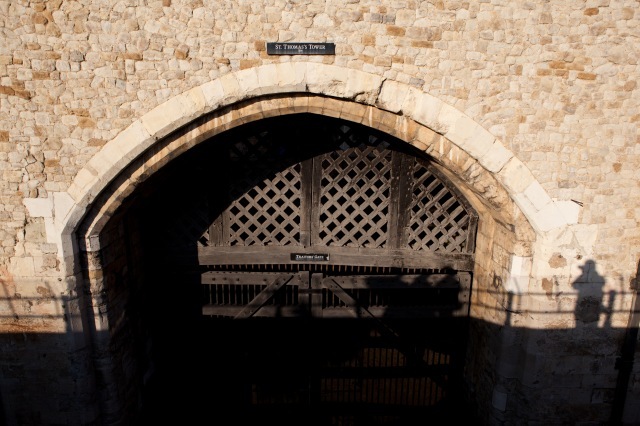 = On the night of Oxford’s recorded death on 24 June 1604, agents of the Crown arrested Southampton and returned him to the Tower, where he was interrogated all night until his release the following day. 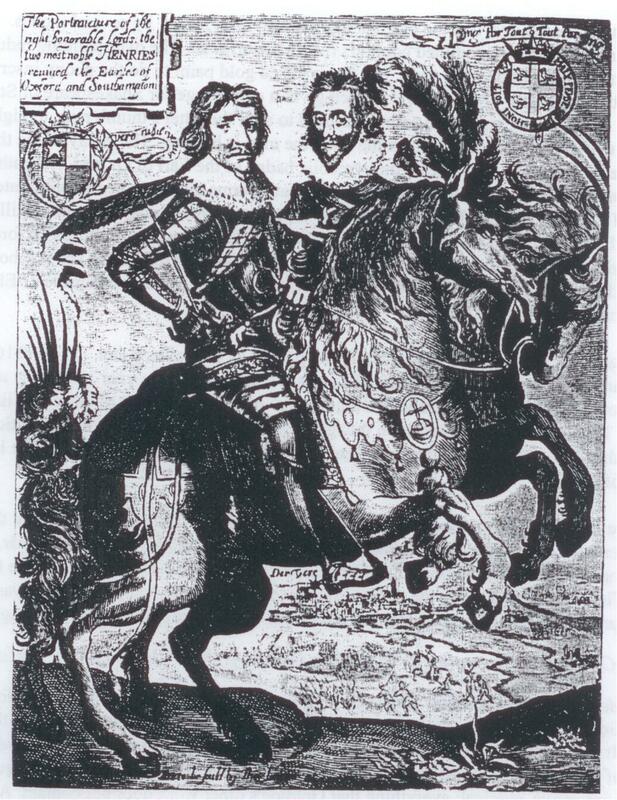 = Henry Wriothesley and Henry de Vere, eighteenth Earl of Oxford (born in February 1593 to Oxford and his second wife, Elizabeth Trentham) became close friends during the reign of James; the earls were known as the “Two Henries.” As members of the House of Lords, they often took sides against the king and were imprisoned for doing so. 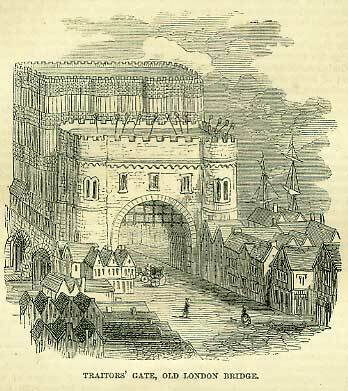 On the eve of the failed rebellion led by Essex and Southampton in 1601, some of the conspirators engaged the Lord Chamberlain’s Company to perform Shakespeare’s royal history play Richard II at the Globe; many historians assume, perhaps correctly, that Southampton himself secured permission from “Shakespeare” to use the play with its scene of the deposing of the king. On the other hand, it is possible that Robert Cecil himself arranged for it, so he could then summon Essex to court and trigger the rebellion, which had actually been scheduled for a week later. Once the rebellion failed and Southampton was imprisoned in the Tower on that night of 8 February 1601, all authorized printings of heretofore unpublished Shakespeare plays abruptly ceased for several years. 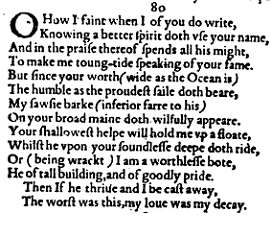 After Southampton was released on 10 April 1603, the poet “Shake-speare” wrote Sonnet 107 celebrating his liberation after being “supposed as forfeit to a confined doom,” that is, subjected to a sentence of life imprisonment. Upon Oxford’s death in virtual obscurity, recorded as occurring on 24 June 1604, a complete text of Hamlet was published. As part of Christmas and New Year’s celebrations surrounding the wedding of Philip Herbert, Earl of Montgomery and Oxford’s daughter Susan Vere in December of 1604, the Court of James held a veritable Shakespeare festival. 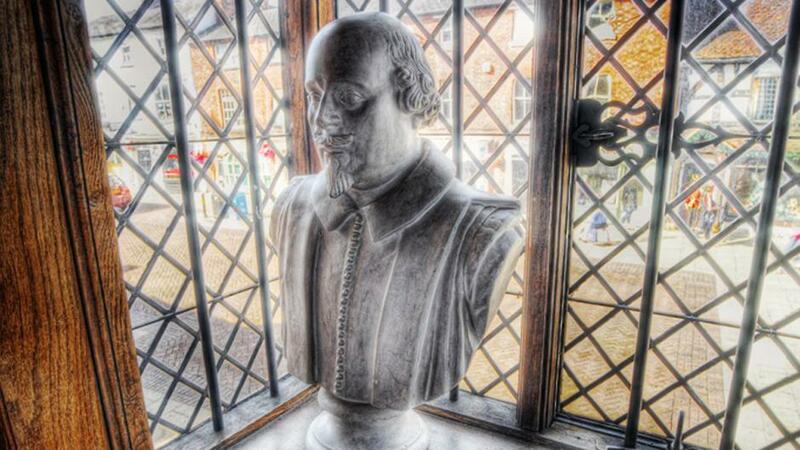 In the days before and after the wedding, seven performances of the Bard’s plays were given. (The royal performances appear to be a memorial tribute to the playwright, rather than a tribute to a living author.) One performance was a revival of Love’s Labour’s Lost, for King James and Queen Anne, hosted by Southampton at his house in London. After Hamlet in 1604 all publications again ceased, for four years. (King Lear was printed in 1608; Troilus and Cressida was issued in two editions during 1608-09; and Pericles appeared in 1609.) Then the silence resumed, for thirteen more years, until a quarto of Othello appeared in 1622; and finally the First Folio of thirty-six Shakespeare plays was published in 1623. Fully half of these stage works were printed for the first time; the folio included none of the Shakespeare poetry, nor any mention of Southampton or the Sonnets. The connections between Oxford and Southampton are numerous and significant; the link between the two earls is crucial for the quest to determine the real Shakespeare. Oxford had been jealous of Sir Walter Raleigh, a “jack” who had leaped into the court’s attention in 1580, when he went to Ireland to help suppress an uprising. He soon became a favorite of the queen, and in 1587 he was knighted and appointed Captain of the Queen’s Guard. Later he helped the government bring Essex to his tragic ending upon the failure of the Essex Rebellion and was said to gloat at the time of the earl’s execution. Venus and Adonis was recorded in the Stationer’s Register on April 18, 1593 and published soon after. No author’s name appeared on the title-page, but the dedication was signed “William Shakespeare” – the first appearance of that name in print. Though I (once gone) to all the world must die. 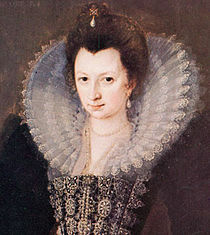 On February 24, 1593, less than two months before the registry of Venus and Adonis, a son was born to Edward de Vere, seventeenth Earl of Oxford, forty-three, and his second wife Elizabeth Trentham, about thirty, a former Maid of Honor to Queen Elizabeth. The two had married in 1591 and had moved to the village of Stoke-Newington, just north of Shoreditch and the Curtain and Theater playhouses. 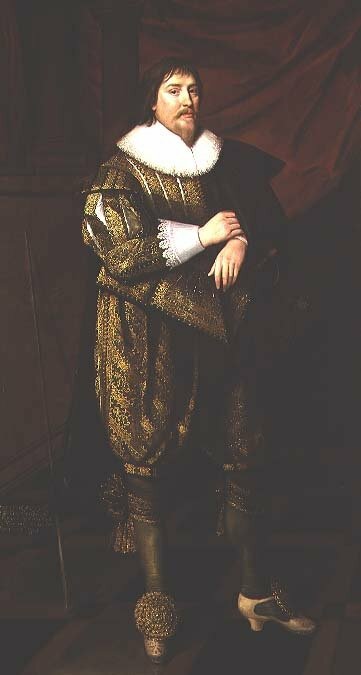 The boy, destined to become the eighteenth Earl of Oxford, was brought to the Parish Church on March 31, 1593 and christened Henry de Vere – not Edward, after his father, nor any of the great first names in the Vere lineage (such as John or Robert) all the way back to 1141, when Aubrey de Vere was created the first Earl of Oxford. 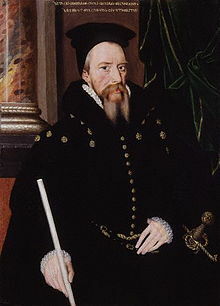 During this time Henry Wriothesley was being sought by William Cecil Lord Burghley for the hand of Oxford’s eldest daughter, Lady Elizabeth Vere. 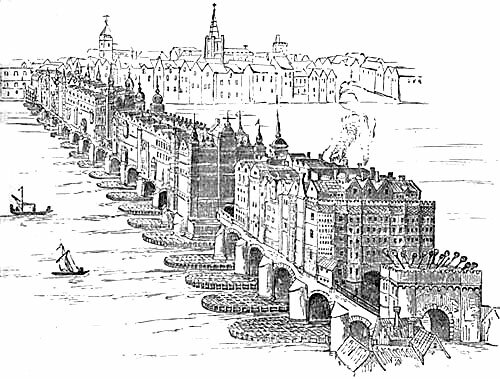 Oxford had become a royal ward in Burgley’s household in 1562; Southampton had followed in 1581; and now on April 18, 1593, little more than two weeks after the christening of Oxford’s male heir as Henry de Vere, the yet-unknown “Shakespeare” was dedicating “the first heir of my invention” to Henry Wriothesley. 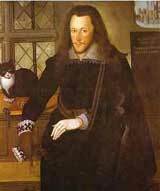 Given that Henry Wriothesley is the only individual to whom “Shakespeare” is known to have written any letters of any kind, he must be the central contemporary individual within the biography of Shakespeare the poet and dramatist. 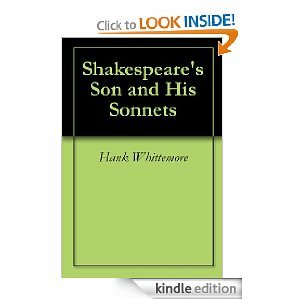 (This is especially so if Southampton is the younger man or “fair youth” of the Sonnets.) The problem, however, is that scholars have never discovered any trace of a relationship between Southampton and William Shaksper of Stratford-upon-Avon, not even any evidence that they knew each other. But if the poet was Edward de Vere, dedicating his first published work under the newly invented pen name “Shakespeare” to Henry Wriothesley, then his promise that “what I have to do is yours” demands a look into the future for evidence of continuing linkage. Among the possible evidence is the performance of Richard II as by “Shakespeare” on the eve of the Essex Rebellion on February 8, 1601 led by Robert Devereux, second Earl of Essex along with Southampton. If Oxford was the dramatist, had he given permission to use his play for such a dangerous and possibly treasonous motive? Had he given his approval personally to Southampton, to help him? These are among the many questions for which history has no answers. Looney pointed to a “spontaneous affinity of Oxford with the younger Earls of Essex and Southampton, all three of whom, having been royal wards under the guardianship of Burghley, were most hostile to the Cecil influence at Court.” By the same token, many scholars have noted evidence in the “Shakespeare” plays that the author was sympathetic to the Essex faction – which makes sense if Oxford and “Shakespeare” were one and the same. 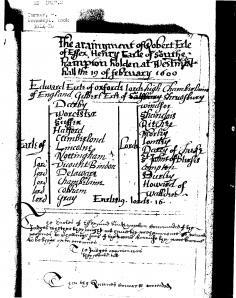 Oxford is recorded as having died at fifty-four on June 24, 1604. That night agents of the Crown arrived at Southampton’s house in London, confiscating his papers and bringing him (and others who had supported Essex) back to the Tower, where he was interrogated before being released the next day. Whether the two events (Oxford’s death and Southampton’s arrest) were related remains a matter of conjecture. 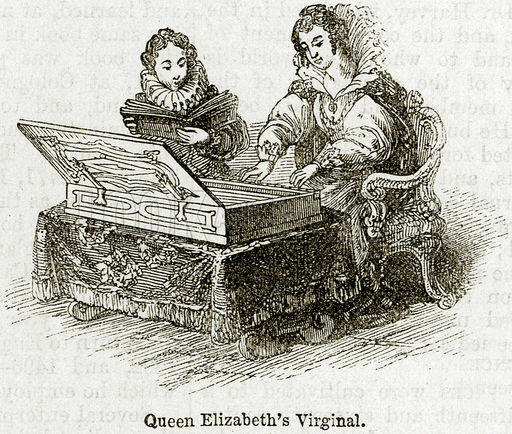 In January 1605, Southampton hosted a performance of Love’s Labours Lost for Queen Anne. The earl apparently had not forgotten how, in the early 1590s, he and his university friends had enjoyed private performances of the play. 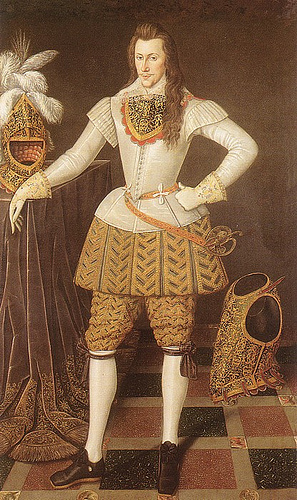 In the latter years of James both Henry Wriothesley and Henry de Vere became increasingly opposed to the King’s favorite George Villiers, first Duke of Buckingham, and the projected Spanish match between the King’s son Prince Charles and Maria Ana of Spain – fearing that Spain would grow even stronger to the point of conquering England and turning it back into a repressive Catholic country. 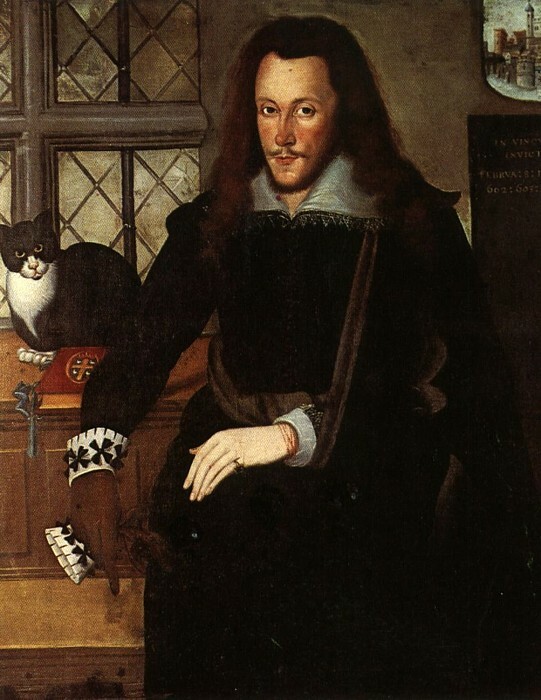 On March 14, 1621, Henry Wriothesley, forty-eight, got into a sharp altercation with Buckingham in the House of Peers; that June he was confined (in the Dean of Westminster’s house and later in his own seat of Tichfield) on charges of “mischievous intrigues” with members of the Commons; and in July of the same year, Henry de Vere, twenty-eight, spent a few weeks in the Tower for expressing his anger toward the prospective Spanish match. 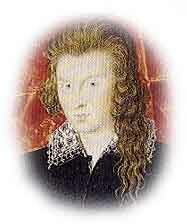 Henry Wriothesley was set free on the first of September. 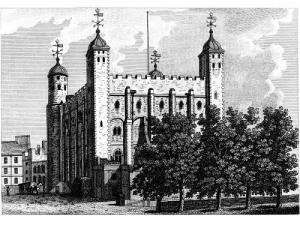 Then on April 20, 1622, after railing against Buckingham again, Henry de Vere was arrested for the second time and confined in the Tower for twenty months until December 1623 – just when the First Folio of Shakespeare plays became available for purchase. 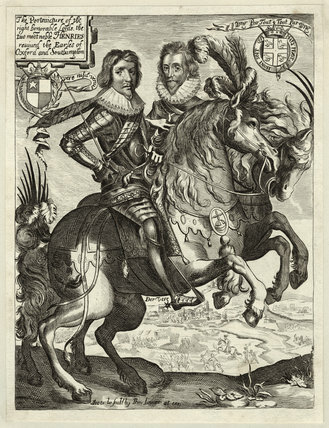 When Henry de Vere volunteered for military service to the Protestant cause in the Low Countries in June 1624, as the colonel of a regiment of foot soldiers, he put forward a “claim of precedency” over his fellow colonel of another regiment, Henry Wriothesley. Eventually the Council of War struck a bargain between the two, with Oxford entitled to precedency in civil capacities and Southampton, “in respect of his former commands in the wars,” retaining precedence over military matters. 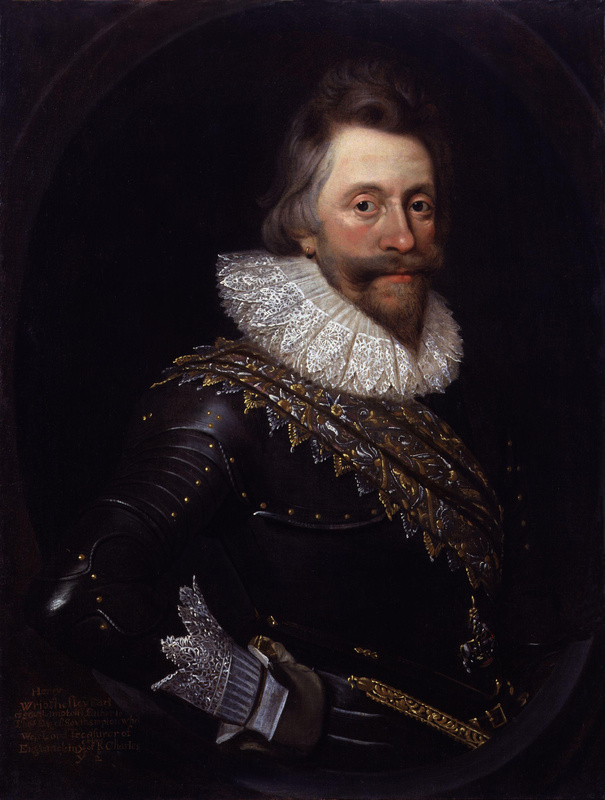 King James died on March 25, 1625 and Henry de Vere, eighteenth Earl of Oxford died at The Hague on July 25 that year, after receiving a shot wound on his left arm. But why, after all, might the “Two Henries” be another reason to conclude that Edward de Vere was the real author of the Shakespeare works? Well, to begin with, in this story there is not a trace of the grain dealer and moneylender from Stratford; he is nowhere to be found. More important, however, is the obviously central role in the authorship story played by Henry Wriothesley, who went on to embody the spirit of the “Shakespeare” and the Elizabethan age – the great spirit of creative energy, of literature and drama, of romance and adventure, of invention and exploration, of curiosity and experimentation, of the Renaissance itself. If England to itself do rest but true! First Folio Pictures has announced that the Shakespeare authorship documentary Last Will. & Testament is scheduled to air in the United Kingdom on Saturday 21 April 2012 at 8:00pm on Sky Arts 2 HD. Congratulations, folks! Special hoorays for producer-directors Lisa Wilson and Laura Wilson Matthias … and Aaron Boyd! Was Will Shakspere, the grain dealer from Stratford, really the literary icon we celebrate today? The traditional story of a Stratford merchant writing for the London stage has held sway for centuries, but questions over the authorship of Shakespeare’s plays and poems have persisted. Why is there no definitive evidence of authorship that dates from his lifetime? And why are there discrepancies between the alleged author’s life and the content of his work? Writers and critics, actors and scholars, including Mark Twain, Sigmund Freud, Charlie Chaplin, Orson Welles, Leslie Howard, and Derek Jacobi, have struggled to reconcile England’s ‘Star of Poets’ with the glove maker’s son from Stratford. In Last Will. & Testament Sir Derek Jacobi leads a host of actors, academics and historians on a hunt for the truth: who was William Shakespeare? Act One explores the orthodox story of William “Shakspere” of Stratford and the long-standing views held by academia. Act Two is a testament to an alternative Shakespeare – one presented to the world in the literary works themselves and in the testimony of his most insightful doubters. Act Three weaves together the major historical events of the late Tudor era, including the crisis of succession and the Essex revolt. The other night I was re-reading the recently discovered poem The Earle of Southampton prisoner, and condemned, to Queen Elizabeth, written by the earl in February or March 1601, while he was in the Tower as a condemned man awaiting execution; and unexpectedly several lines of the poem seemed to leap out, reminding me of a passage in Sonnet 31 of the Shakespeare sequence of 1609. A comparison reveals that Southampton, in his “verse-letter” to her Majesty pleading for mercy, expresses virtually the same idea in the same language, as if he had Sonnet 31 with him in his prison room and was being influenced by it. In my view this similarity provides additional support for the Monument theory, which holds that the Earl of Oxford used the Sonnets as a “chronicle” of Southampton’s ordeal in confinement. This proposed diary of “verse letters” to Southampton in the Tower begins with Sonnet 27 upon the failed Essex Rebellion on February 8, 1601 and concludes with Sonnet 106 (which refers to “the Chronicle of wasted time”) on April 9, 1603, the night before the younger earl was liberated by King James from being “supposed as forfeit to a confined doom” (Sonnet 107). In the Monument view Sonnet 31 corresponds with the fifth day of Southampton’s imprisonment, when it was already clear (to Oxford, at least) that both Essex and Southampton would be convicted of high treason and sentenced to death. Two week later Oxford writes in Sonnet 45 of “those swift messengers returned from thee/ Who even now come back again assured/ Of thy fair health, recounting it to me” – referring not only to the leg ailment suffered by Southampton, who cites it in his poem to the Queen, but apparently to Oxford’s use of “messengers” riding to and from the Tower with (I suggest) copies of individual sonnets for him. As one may sith say the dead walk so. I am religious [reverent; faithful] because dead in law. The idea expressed above by Southampton is that prisons are different from graves because prisons contain men who are still alive whereas graves contain those who are dead. On the other hand, he writes, prisons are the graves or tombs for the walking or living dead – for those who, like Southampton himself, are condemned to death by law (and who, therefore, might as well be dead). That due of many now is thine alone. 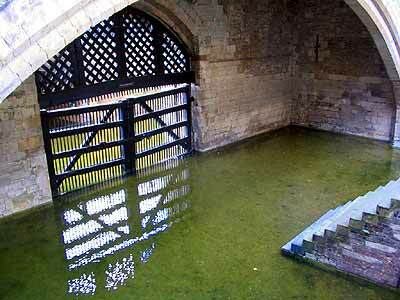 Oxford’s idea in Sonnet 31 above is similar to Southampton’s theme, except he pictures the imprisoned younger earl himself as the grave. Southampton is the living grave that contains his own “love” or the most important aspect or quality of his person. 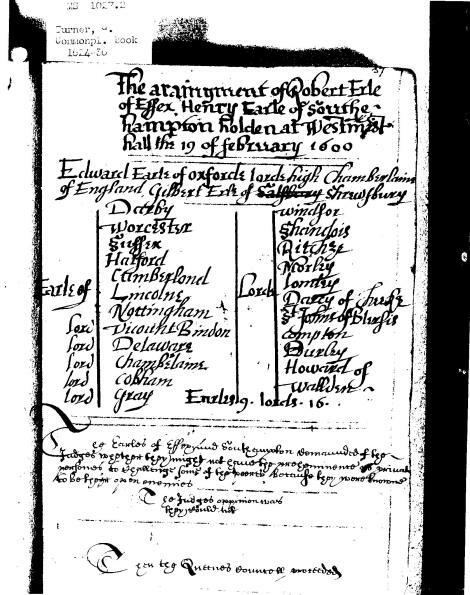 The ideas are similar but different; many of the words are the same: grave, dead, buried, religious, living/live, tombs/trophies and so on – more evidence that Sonnet 31 is concerned with the same individual (Southampton) in relation to the same “dark lady” (Elizabeth) in the same situation (in the Tower, facing death) in the same time period (February-March 1601). I offer it as striking new testimony that the Monument theory of the Sonnets is correct. 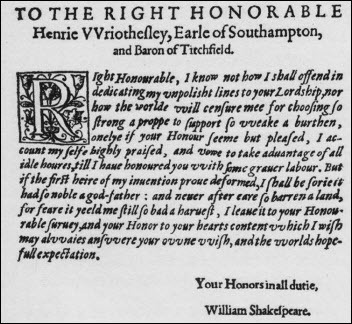 Below is one of the two letters that Henry Wriothesley the third Earl of Southampton wrote to the Privy Council soon after his trial on 19 February 1601, while in the Tower of London awaiting execution. Oxford’s help behind the scenes appears to have included advising Southampton on what to write to the Council and Robert Cecil. Possibly the individual sonnets were one means by which he conveyed information to him in the Tower. And quite possibly he helped him with the recently discovered poem entitled The Earle of Southampton prisoner, and condemned. to Queen Elizabeth. 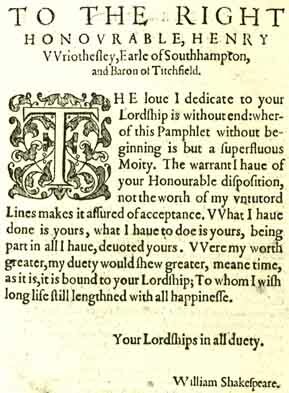 In her article on Wriothesley’s poem in the 2011 English Literary Renaissance, Lara M. Crowley recalls that while awaiting execution Southampton wrote at least two letters to the Council as well as a separate confession and a letter to Robert Cecil. His writings from this period “reflect a desperate and (quite rightly) frightened penitent. Surely these anxious outpourings were fueled by the executions of Essex and fellow conspirators and by the persistent whispers surrounding Southampton’s impending doom.” And she notes the “cumulative connections” between the earl’s prison writings and his poem to the Queen. “My lords, there are diuers amongest you to whom I owe particular obligation for your fauors past, and to all I haue euer performed that respect which was fitt, which makes me bould in this manner to importune you, and lett not my faultes now make me seem more vnworthy then I haue been, but rather lett the misery of my distressed estate moue you to bee a mean to her Maiestie, to turne away her heauy indignation from mee. O lett not her anger continew towardes an humble and sorrowfull man, for that alone hath more power to dead my spirites [spirits] then any iron hath to kill my flesh. “To conclude, I doe humbly entreate your Lordships to sound mercy in her eares, that therby her harte, which I know is apt to receaue any impression of good, may be moued to pity mee, that I may Hue to loose my life (as I have been euer willing and forward to venture it) in her service, as yourlordships herein shall effect a worke of charity, which is pleasinge to God; preserue an honest-harted man (howsoeuer now his fautes haue made him seem otherwise) to his contry; winn honor to yourselues, by fauoringe the distressed; and saue the bloud of one who will live and dy her Maiesties faythfull and loyall subiect. And ‘gainst my self a lawful plea commence. New support for the Monument theory of the Sonnets has come from the discovery in the British Library of a 74-line poem by Henry Wriothesley, third Earl of Southampton, written in the Tower of London while he awaited execution for his role in the Essex rising of 8 February 1601. In this unique scribal copy of a “verse letter,” Southampton pleads with Queen Elizabeth for mercy. My thanks to the scholar Ricardo Mena for passing on this discovery, reported by Lara Crowley, Assistant Professor of English at Texas Tech University, in the winter 2011 edition of English Literary Renaissance. The poem, entitled “The Earle of Southampton prisoner, and condemned. To Queen Elizabeth,” was found in BL Manuscript Stowe 962, which contains 254 miscellaneous folios prepared mainly in the 1620’s and 1630’s. The “high level of accuracy” of attributions in the manuscript “enhances the likelihood” that the ascription to Southampton “proves accurate as well,” Professor Crowley writes, adding that this “heartfelt” plea to Elizabeth points to a familiarity with “specific, intimate details” of the earl’s career and health and even writing style. “Multiple references” identify Southampton as appealing to the Queen for a pardon. The Monument theory holds that Edward de Vere the seventeenth Earl of Oxford arranged the Sonnets to record that he worked behind the scenes to save Southampton’s life and gain his freedom with a royal pardon. The theory claims that part of the price Oxford paid, forced upon him by Secretary Robert Cecil, was the permanent destruction of his identity as author of the “Shakespeare” works (“My name be buried where my body is” – Sonnet 72). Oxford: If he was the author of the Sonnets, then at the very least he wrote Sonnet 107 celebrating Southampton’s liberation by King James in April 1603, after the death of the Queen as “the mortal Moon” a few weeks earlier. 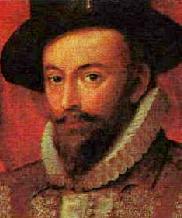 Essex: During his final four days in the Tower before he was executed on 25 February 1601, he wrote a 384-line poem to Elizabeth entitled The Passion of a Discontented Mind. Southampton: Here we have Southampton, the fair youth of the Sonnets, also in the Tower with expectation of execution, writing a 74-line poem to the Queen in February or March 1601, pleading for her mercy and a pardon. Approach so near God, in pardoning men? But only mercy is the Prince’s own. He refers to himself as “dead in law,” reflecting his status in the Tower as “the late earl,” who has become legally dead. 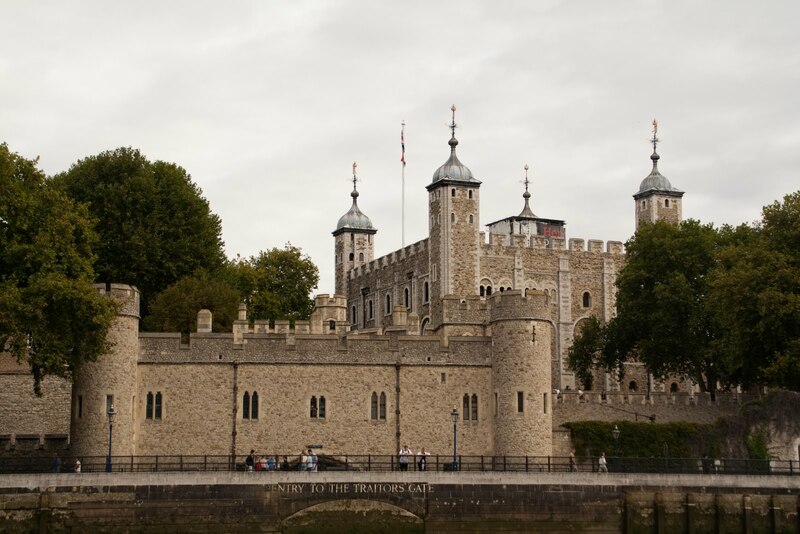 He mentions his “legs’ strength decayed,” reflecting the fact that, while in the Tower at this early stage, he was suffering from a “quartern ague” that caused a dangerous “swelling in his legs and other parts,” as the Council reported to Sir John Peyton, Lieutenant of the Tower. Southampton uses many words in his poem that also appear in the Sonnets, among them the following forty-seven words: Blood, Buried, Cancel, Cheeks, Chest, Condemned, Countenance, Crimes, Dear, Dead, Die, Eyes, Faults, Favor, Furrows, Grace, Grave, Grief, Groans, Ill, Lamed, Liberty, Light, Loss, Mercy, Offend, Offenses, Pardon, Parts, Power, Princes, Prison, Prisoners, Proceed, Rain, Religious, Sacred, Sorrow, Stain, Stone, Tears, Tombs, True, Vial, Worm, Worthy, Wrinkles. A number of these words are related literally to Southampton’s situation: Condemned, Crimes, Faults, Liberty, Mercy, Offend, Offenses, Pardon, Prison, Prisoners – more evidence, in my view, that Oxford uses the same words in the Sonnets to refer to Southampton’s plight in the same circumstances. Well taken forth may be made serve again. That stumbled in the morn, go well all day. Approach so near God, in pardoning me? Like a true blood-stone, keep their bleeding still. Will make it wise, until the beam it kiss. Your mercy hath the same effects as [the river] Jordan. Limbs have been cut which might else have been healed. As one may, sith say the dead walk so. I am religious because dead in law. Of people, curious after rueful sights. Without such intermission they want power. Like one, whose stock being spent give over trade. With shovels emptied, and hath spoons to fill it. As one, that means nothing but complement. He as he list, we as we ought live. (To which all bow) is sewed to by each one. Is that I think you [Elizabeth] worthy to give more. For my tears have already worn these stones. Happy New Year! Thanks to all readers of this blog and to all who join us in the effort to break down the walls of denial about the true Shakespeare. 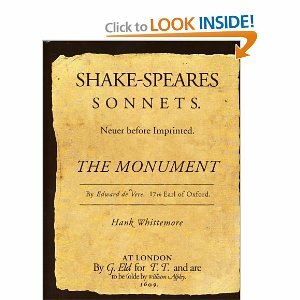 We are pleased to report that The Monument: “Shake-speare’s Sonnets” by Edward de Vere 17th Earl of Oxford is entering its eighth year of publication and continues as strongly as ever to communicate with readers in the U.S. and around the world. 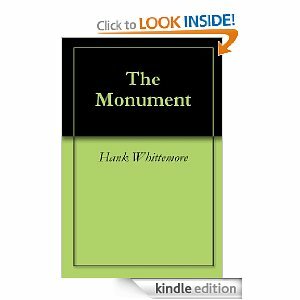 And we are especially pleased to be reaching new readers of The Monument on Kindle, which includes the entire book of 900+ pages in its original format. The same is true for our “overview” or “synopsis” version entitled Shake-Speare’s Son and His Sonnets — a title that indicates, in no uncertain terms, where we stand on the most controversial issue in the Oxfordian community — Prince Tudor! “The traditional belief that ‘Shakespeare’ was a man from Stratford upon Avon is a powerful myth, which for many makes it difficult if not impossible to look at the facts clearly and without the tremendous pull of prior assumptions. A common attack on those who search for the truth is that they must be “snobs” who feel a commoner could not have written the great poems and plays; but the real snobs are those in academia who continue to ridicule and scoff as well as attack. If there is a conspiracy theory afoot, it’s the conspiracy of powerful entities such as the Shakespeare Birthplace Trust and the British tourism industry based on Stratford, along with the world of academia that includes educational institutions, academic credentials, peer-review publishing, teaching tools, textbook companies, the publishing and entertainment worlds — all working together to help each other continue making profits and staying in business. A lot is at stake. Follow the money. I would add that there’s no other credible explanation for long-term concealment of the true author of the greatest works written in the English language or possibly in any language. The works attributed to “Shakespeare” — the plays, yes, but especially the poems and sonnets — are the living containers of true history; and if the Earl of Oxford had been revealed as the author, it would not have taken long for the existence of a Prince Tudor — a Tudor heir — to become known and to ignite a new civil war around the throne. There could have been no higher stakes for those in power and, too, for the stability of a nation. Once again — Happy New Year to all!